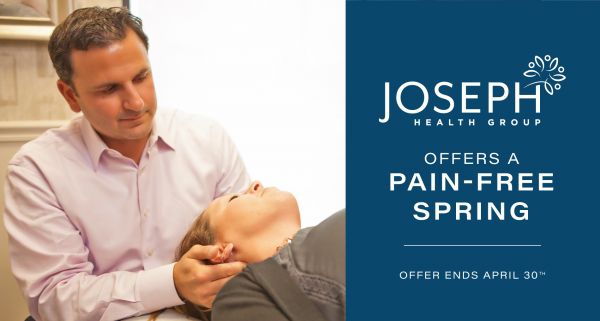 During the month of April, Dr. Dan Joseph is offering the opportunity to live pain- and medication-free with a New Patient Special! This is for those who are suffering from back pain, neck pain, headaches or other pain that is limiting your movement and activity. Don’t let pain stop you from getting back into the garden, out with the kids or grandkids or onto the golf course. Take advantage of this special, during the month of April only. Medicare guidelines apply. Offer ends April 30, 2019. Available to new patients only.